Welcome to Holyrood Netball Club’s website. We are one of the biggest clubs in Edinburgh with 4 adult teams in the City of Edinburgh Netball Association (CENA) League. We pride ourselves on being a friendly club. Anyone with a keen interest in netball, regardless of experience or skill level, are welcomed. This season will see the club enter it’s 20th Year! Watch this space! If you would like to join us, please email us on holyroodjuniors@gmail.com. The Edinburgh league (CENA) runs from October to May. 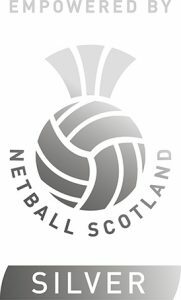 In May 2017, we achieved the SILVER Thistle Accreditation from Netball Scotland! Whoop Whoop! Thistles finished a whopping 3rd in Div 1.